Welcome to this update! Time to talk about what happened last week, and what's on the menu for this week! With the Daily Challenge I've also added two new convoys to the game! 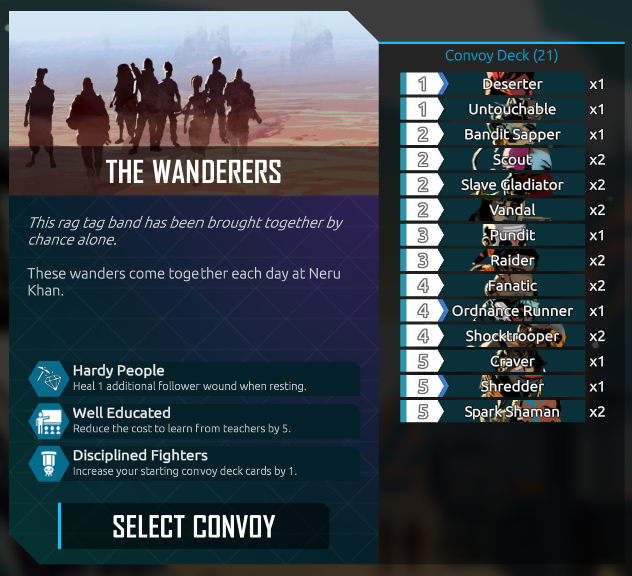 One of them is the WANDERERS, a convoy that - like that Daily Challenge - is randomly generated each day. Random cards and random perks. The other one is the HORDE, a convoy consisting entirely of beasts - so finally you can build that beast deck you always dreamed of! 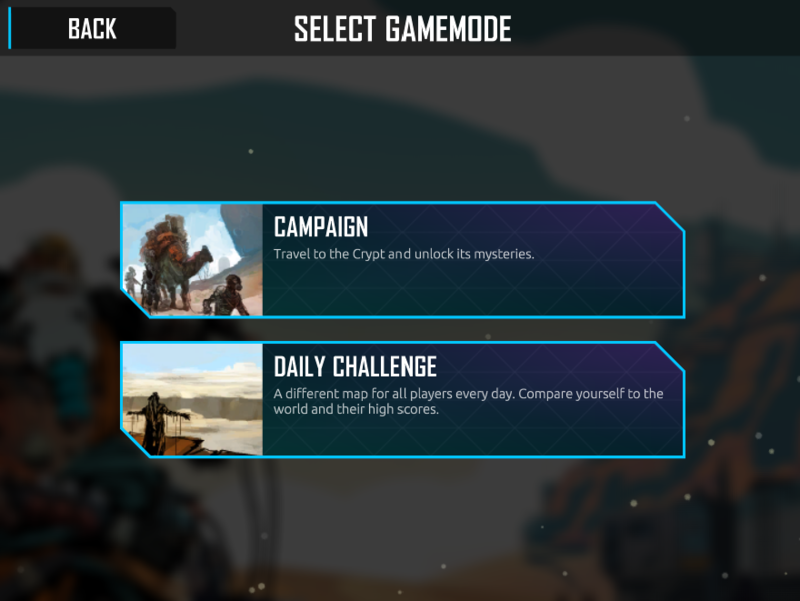 Play the Daily Challenge to unlock both of those! You may have spent some time in the cards screen in the past, looking at all the cards you've found so far. The screen was reorganized a bit and is now the Collections Screen. Together with some simpler and more accessible filter options, it now features a stats section that lets you see all your lifetime game stats: How many days you've travelled, how many fights you've won and followers you've lost. It's still a bit rough but I'd love you feedback. What stats would you like me to add? I've also finally renamed Momentum to Energy. It's something I've been considering for a while. Some of you may remember my poll a few months ago about possible replacements. My first guess was Power but after talking to a large number of people I've landed on Energy. Why the change? Well because Momentum is a cumbersome word, even though it's flavorful, and it's harder for people to understand what it does. Energy is a more standardized name for a spendable resource. My hope is that it makes the game a bit easier to grasp for new players, and it won't really make a difference for the veterans. And yeah, that's it for today! If you've got any questions or thoughts, please let me know!